Bruce Lee personally owned and worn University of Washington athletic top. 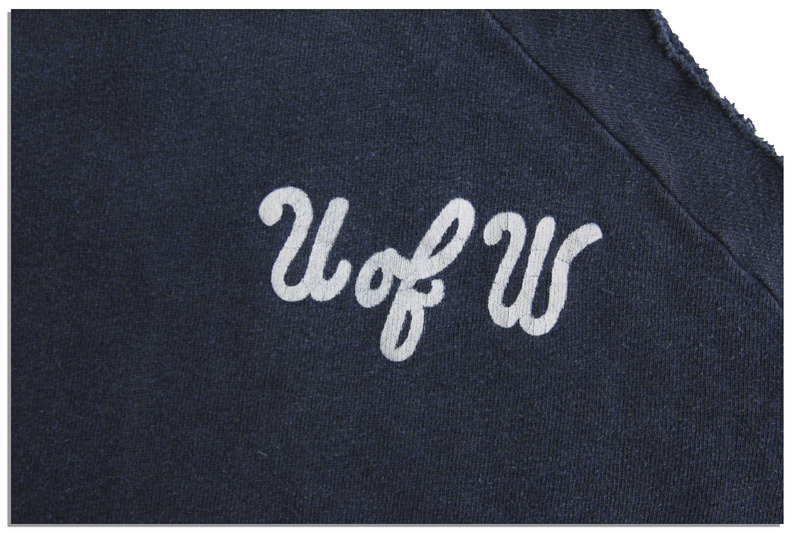 Navy blue sweatshirt features cutoff sleeves and is printed in white, ''U of W'' over the left breast. Cotton shirt by Healthknit brand is a size M. Fading to fabric color and gum or similar substance on the collar at the back, else near fine. 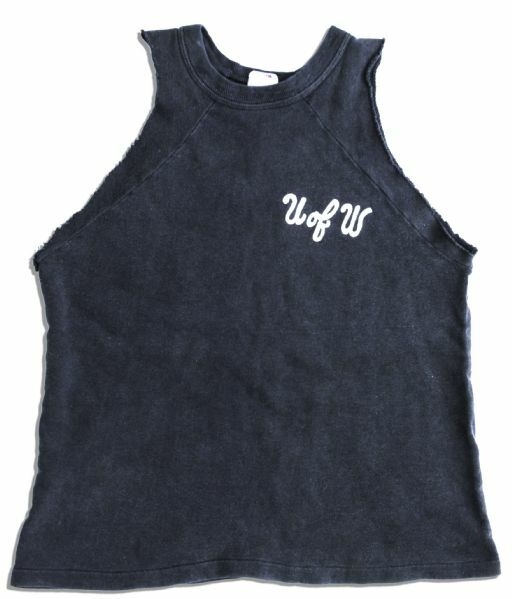 From the collection of Herb Jackson, whose well-documented friendship with Lee began while he trained in Jeet Kune Do at Lee's Los Angeles martial arts academy in Chinatown. Impressed with Jackson's background in street fighting, in time Lee befriended his student and invited him to train at his home. Just before his fateful move to Hong Kong, Lee gifted many pieces of his martial arts equipment to Jackson. With a COA from Herb Jackson's son. Auction closed on Tuesday, October 29, 2013.